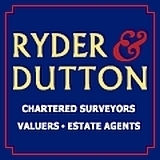 I have over 16 years experience at Ryder & Dutton and have been on the management team since 2006. It is important to me that I provide the best service to make moving as stress free as possible. Having lived in Rossendale for 20 years, I possess an acute insight into the local property market here.